You’ll never hear the words “too much chocolate” come out of my mouth. If I ever refer to a dessert as having “too much chocolate”, then I must be sick. 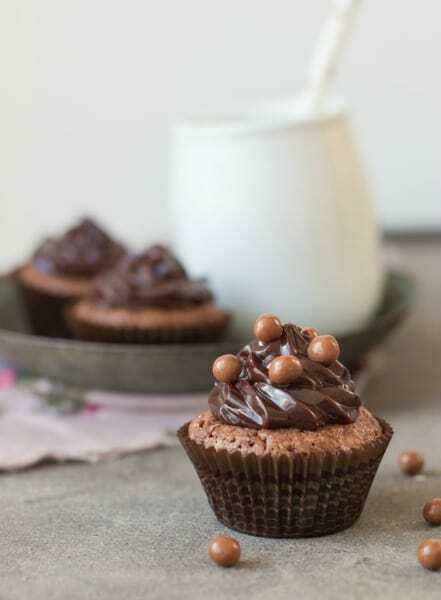 In that case, order me half a dozen of any of these chocolate cupcakes, and bring a cozy blanket and a chick flick so I can recover on the sofa. I may need a napkin or two as well. 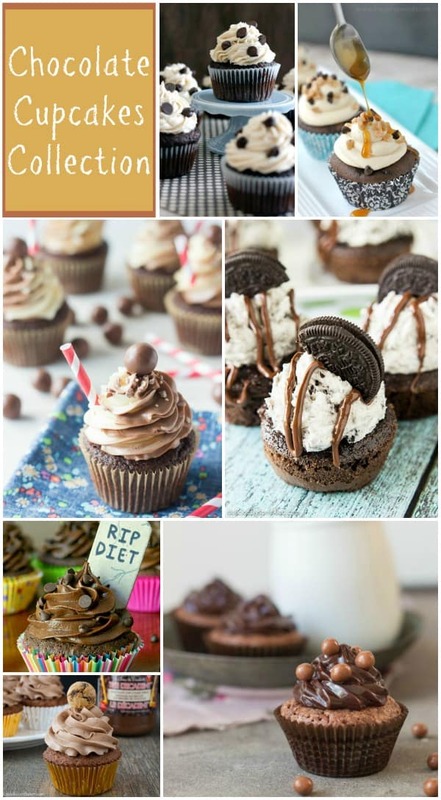 This is a collection of recipes from other talented bloggers & bakers. To view the full recipe for each, simply click on the titles and they’ll open in new windows for you. We’ll be sharing loads of cupcake recipes this month so be sure to visit our special Cupcake category for more yummy ideas. 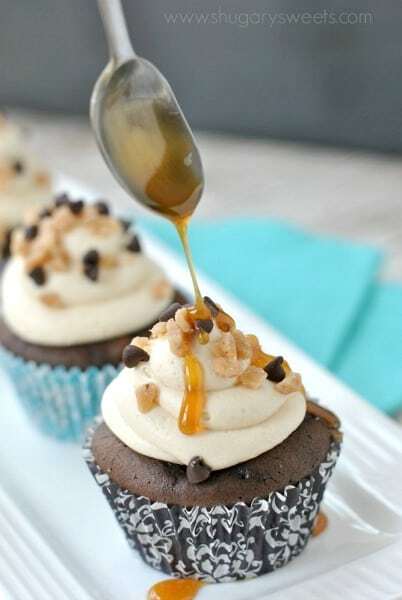 These Chocolate Cupcakes with Caramel Toffee Frosting (pictured above) by Shugary Sweets look amazing! If you’re looking for a recipe for your next bake sale, these ones are sure to bring in the crowds. What do you do when you can’t decide on what to eat for dessert? One part of you craves a crunchy cookie while the other side craves a sweet cupcake with delicious frosting…tough choice, right? 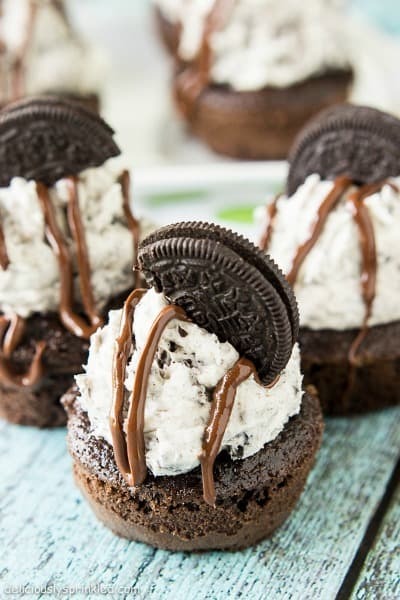 Satisfy both your cravings with these Chocolate Oreo Cupcakes by Deliciously Sprinkled. I don’t know what it is about miniature food that I find so addictive – maybe it’s because I think I can eat twice as many of them! 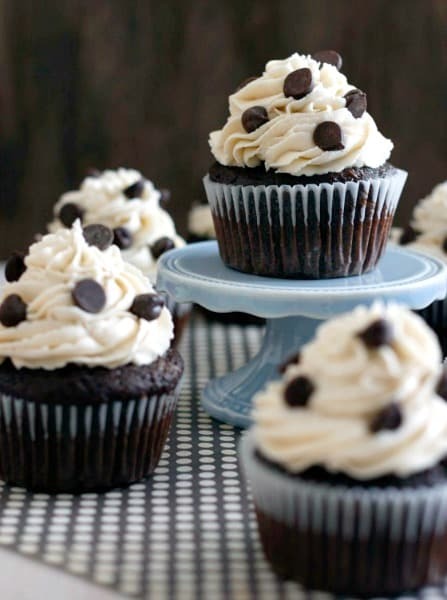 These Chocolate Chip Cookie Cupcakes by Little Sweet Baker look adorable. Don’t forget your glass of milk with these ones! Speaking of mini desserts, how many of these Mini Chocolate Brownie Cupcakes with Chocolate Ganache Frosting do you think I can stuff in my mouth at one time? You’ll never believe that this mouthwatering frosting by Pretty Simply Sweet takes only two minutes to make. Cookie Dough Stuffed Chocolate Cupcakes. 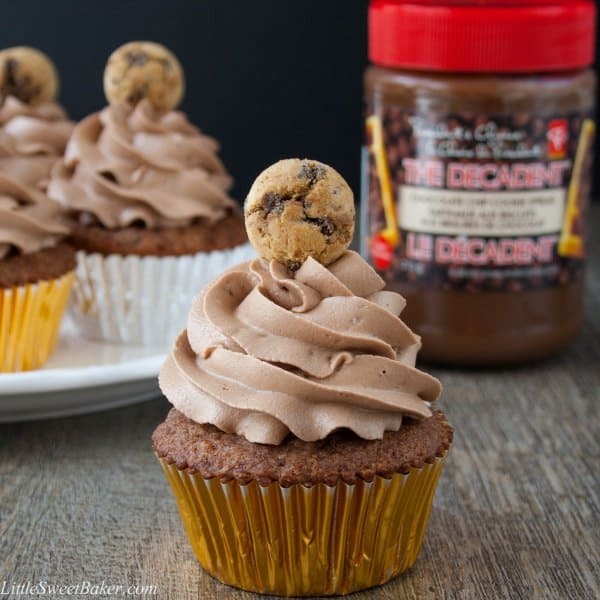 Yes, you read that right – chocolate cupcakes stuffed with cookie dough. No, you aren’t dreaming! 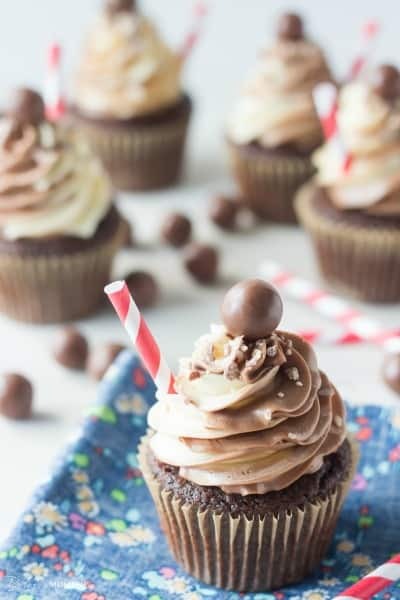 Make an extra batch of these cupcakes by With Love And Cupcakes for your own hidden stash that you don’t have to share with guests. These Black Forest Cupcakes by Living Better Together look like a gourmet treat sure to impress the guests at your next party. Baking A Moment has combined chocolate & vanilla malt flavors into these tasty Black & White Malt Shoppe Cupcakes that are sure to be a hit with all ages. I see a lot of cream cheese frosting recipes on carrot cake & red velvet cupcakes but this is the first chocolate cream cheese icing recipe I’ve seen and it looks so good! 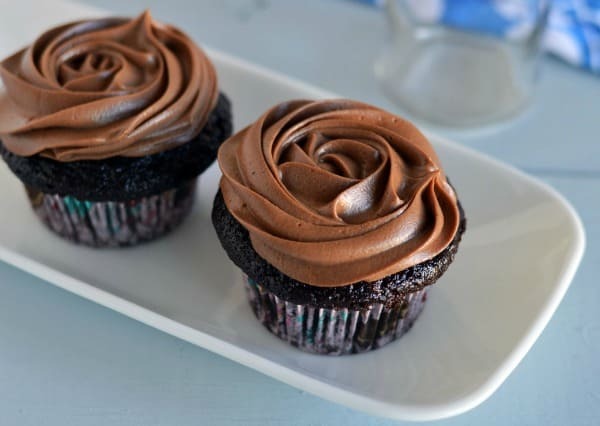 These Chocolate Cupcakes with Chocolate Cream Cheese Icing by Friday Is Cake Night look like a chocoholic’s dream come true! I’ve never been successful with diets. I’ve tried the Atkins diet, cutting our carbs, cutting out fat, erasing sugars from my diet…I never got very far with any of those. 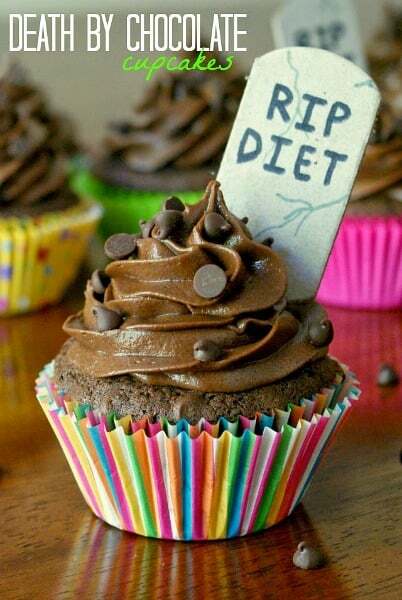 I believe in everything in moderation so I can totally relate to these RIP Diet Death By Chocolate Cupcakes by The Two Bite Club. I love copycat recipes of delicious store-bought treats because nothing beats homemade goodies! 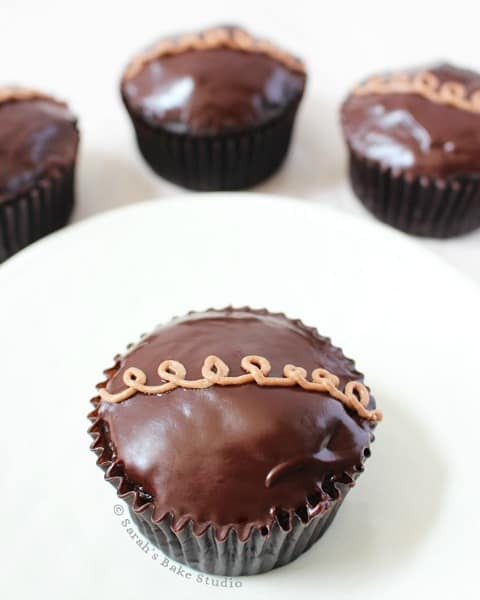 These Faux Chocolate Hostess Cupcakes by Sarah’s Bake Studio have a tasty chocolate twist on a popular store-bought dessert. Don’t forget to visit our special Cupcake category for even more delicious ideas! Never miss a delicious update by following us on Facebook, Twitter, Pinterest, Google + and Bloglovin’. 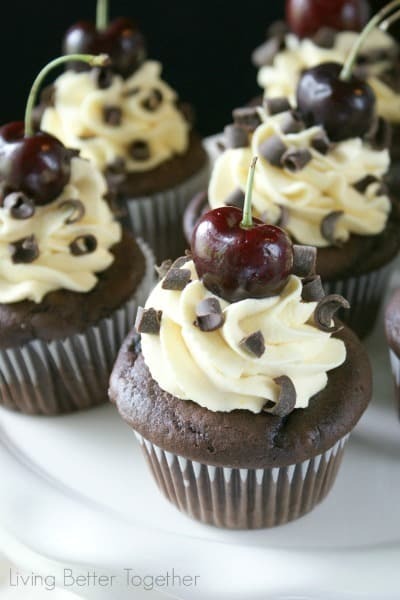 Thanks so much for including my Black Forest Cupcakes! These all look amazing! Wow, I want to try all of these recipes! It certainly brings on the drool, doesn’t it?! Thanks for including me! SHARED!!!! Thank you for posting my Faux Chocolate Hostess Cupcakes!